The Cross View Horse Show Series closed it’s 2017 series, crowning its high point winners for the day and the season at its fall show this past weekend. While the calendar said it was fall, the weather felt more like mid-summer with temperatures well into the mid-80s and the sun shining hot and bright all day. By the time I arrived on Sunday afternoon, their was a decent, if not spectacular, turnout for the show. I was a bit surprised that more didn’t take advantage of the incredible September weather to come out with their horses. As with each Cross View show, the midway between the two main rings included vendors and games. Most of the Western classes appeared to have between two and five entries. Five vied for the Jackpot GAYP Pleasure class. Laura Owen took home the largest slice of the jackpot on her sorrel gelding, Zipposhandsomedevil, who she rode without a bridle in the class. The ranch horse classes were also well attended. 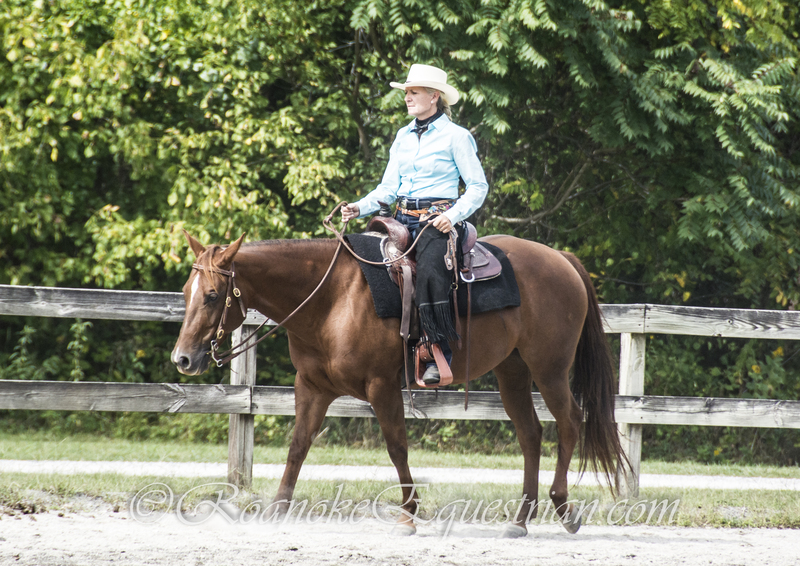 Riders in the ranch rail classes were asked to walk, job and lope, but also to extend the jog. Attire for Western part of the show was very casual for some — I saw ball caps and blue jeans on some — to gemstones and standard pleasure glitz on others. So don’t let your lack of show attire keep you from coming out to complete next year! 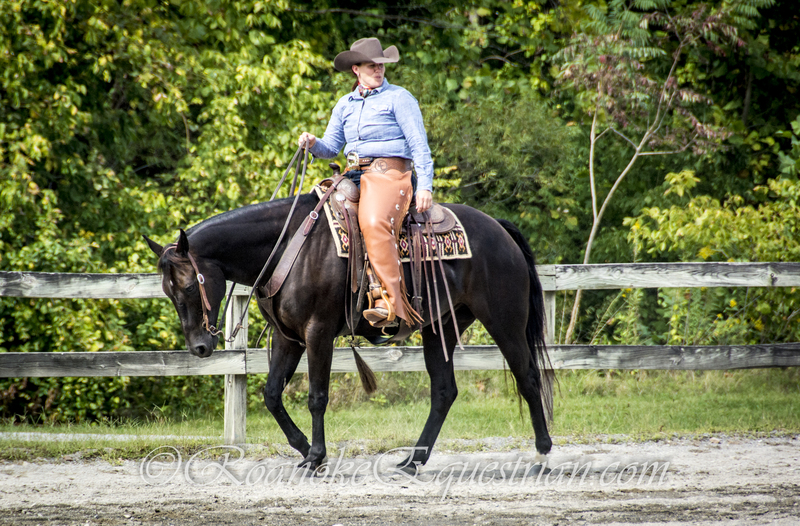 Posted on September 25, 2017 September 25, 2017 by RoanokeEquestrianPosted in Horse Shows, UncategorizedTagged Cross View, Cross View Horse Show, Green Hill Park Equestrian Center, Lauren Owen.